Russia’s Yamal LNG, set to be the world’s biggest Arctic producer of liquefied natural gas, plans to send its debut cargo to China as thanks for its support. The first recipient of the plant’s super-chilled fuel will be China National Petroleum Corp. as this “is obviously a very symbolic point,” Mark Gyetvay, deputy chief executive officer of Moscow-based Novatek PJSC, the project’s main shareholder, said Thursday on a conference call. He didn’t give a date for the shipment. 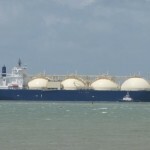 “It is our view that the first LNG tanker should be offloaded by CNPC in recognition for their overall contribution to the project and the importance that the Asian-Pacific market represents as a key consuming region,” Gyetvay said. The $27 billion Yamal development has advanced despite concerns it would be hurt by U.S. sanctions levied against Novatek in 2014 after Russia annexed Crimea. Chinese lenders agreed to provide $12 billion to the project last year after CNPC bought a 20 percent stake in the venture. China’s Silk Road Fund holds 9.9 percent. Yamal LNG may send its first cargo in November, according to the Russian Energy Ministry, as China’s LNG imports surge ahead of winter. The nation increased purchases of the fuel to a seasonal record last month as its biggest energy companies seek to bulk up supplies before colder weather boosts demand. With Chinese LNG demand booming, Asian spot LNG prices reached the highest level since January on Oct. 19. Spot cargoes in north Asia fell 0.4 percent to $8.85 per million British thermal units on Thursday, according to a Singapore Exchange Ltd. assessment. 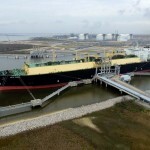 The Arctic plant, which is building three main LNG production lines with a fourth planned, is expected to reach full output capacity of at least 16.5 million tons a year in 2019. Novatek owns 50.1 percent of the project, and Paris-based Total SA has the remaining 20 percent stake. 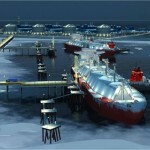 The French company was first to team up with Novatek on the Yamal project almost seven years ago. The venture’s first tanker was named after Christophe de Margerie, Total’s former chief executive officer who was killed in an airplane accident in Moscow in 2014. 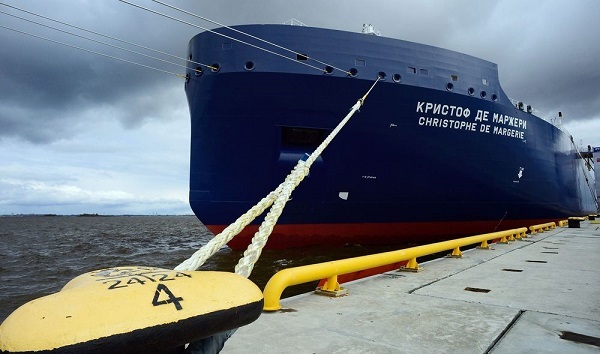 “We are in a final stage of the commissioning process,” with the Christophe de Margerie tanker set to arrive at Yamal’s port of Sabetta soon, Gyetvay said. 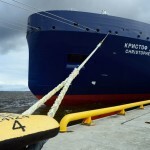 While Russia’s customs office said earlier this month that Yamal LNG may send six cargoes by the end of the year, Gyetvay said that was a preliminary indication and wouldn’t necessarily “correlate” with the actual supplies. Novatek plans to work on another LNG plant once its Yamal capacities are launched. 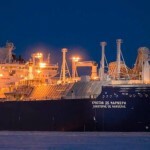 It aims to select partners for the Arctic LNG 2 project in the Gydan Peninsula near Yamal closer to when the final investment decision is made, which is expected by 2019.